No, this isn’t a repeat post. 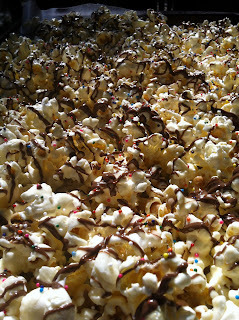 Although, this recipe is exactly like my chocolate popcorn concoction, except with a few important additions. If you are a fan of white chocolate, sprinkles and nutella(yum! ), this is the snack for you. Plus, it’s perfect for a snack favor for kiddie parties. Nom dot com. Place chocolate and peanut butter in a microwave-safe bowl, microwave in 15 second increments, for up to a minute, stirring each time. 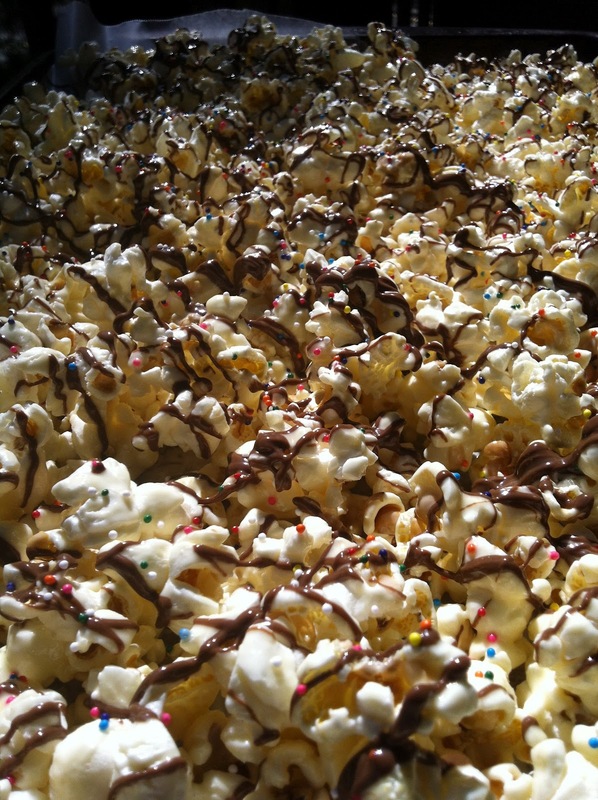 Spread on cookie sheet, sprinkle with sprinkles(heh), liberally drizzle popcorn with nutella, and cool(I put mine in the fridge because I’m impatient). This is now my husband’s favorite snack. Well, it was. Until I created peanut butter popcorn with chopped peanuts. Stay tuned for that recipe. « eBay Jewelry: who would have thunk it?